InciNotes™ Blog: ICT3 Leaders Intent Documentation Tool! ICT3 Leaders Intent Documentation Tool! ICT3’S Look At This WOW Feature InciNotes™ Version 1.1 #Incident Action Plan – Plan Steps. 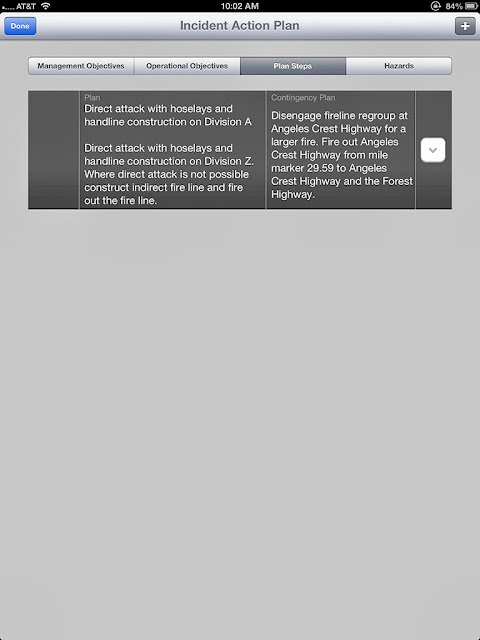 The Incident Action Plan screen is where the #Incident Commander can document his or her primary plan and #contingency plan to document his or her leaders intent for the incident. InciNotes™ Version 1.1 to be released Soon!